-- I guess if you’re desperate enough you could use Josh Allen (18-33 for 231 yards, 2 TDs/2 INTs, 9-135-0)…if he’s going to run the ball like this. He’s running a lot because he’s so awful a passer, and cannot see/read the field, that if he doesn’t see an option his first split second…he looks to run. This won’t stop because only DeShone Kizer is a worse QB than Josh Allen (both beloved by all NFL scouts). Teams will get wise to this…soon…you would think. -- Kenyan Drake (7-31-0, 2-13-1/4), as I’ve been saying for weeks+, is low-key Alvin Kamara for Miami…or a poor man’s Tarik Cohen. It won’t stop being a thing until Miami is out of the playoff picture. -- Good for Zay Jones (4-67-2/9)! He’s becoming a WR3 option. He was shutout by Jalen Ramsey a few weeks ago, ignore that game, and in his last 6 games: 4.7 rec. (7.8 targets), 49.2 yards, 0.67 TDs per game…8.9 PPR PPG/13.6 PPR. -- I’ve been very down on Courtland Sutton (4-85-1/7), even dropping him this week in some redrafts…but in a few spots I needed points and went with the matchup – and it paid off some. The hope here was the pathetic Bengals pass defense…and he cashed in. I didn’t see any big move to him here…just a great option on matchup. He’s a WR3-4 next week. There is just no connection with he and Keenum/Keenum isn’t very good. Do not drop in dynasty…he is a future superstar. -- Two games in a row Jeff Driskel has dealt good action (for TEs) to C.J. Uzomah (5-33-0/7)…6 catches on 12 targets the prior game and 7 targets here. CJU creeps back into the low-end TE1 conversation. -- I’m guessing we’ll see A.J. Green (1-7-0/1) on I.R. He’ll be a 31-year-old WR coming off whatever foot ailments he deals with in the offseason. This is not a big help for Tyler Boyd (6-97-0/8)…who is a better #2 WR than #1. He’ll still be the top target here, regardless. -- Some absolutely brilliant moments from Baker Mayfield (29-43 for 397 yards, 1 TD/3 INTs) in this game…and a boat load of picks in the 1st-half. The game was getting away early and Baker was trying to make some things happen and got caught…he reloaded in the 2nd-half and got them back into it, to a degree. Some of his throws in the 2nd-half were stunning. Had two 50+ yards TD, back-to-back taken away by a penalty followed by a going into the end zone fumble away at the goal line. Not swayed off him by the picks here…which is what all the media will focus on. -- Jarvis Landry (6-103-0/9) showed some connection with Mayfield in this game, a good sign for Landry…but CAR-DEN the next two weeks will have top corners on him – which may mean Rashard Higgins (4-65-1/4) might continue to make some WR3 noise ahead…a TD in three of his last 5 games. -- No Keke Coutee…DeAndre Carter (6-32-0/6) filled in nicely in that underneath/slot/#3 WR role. Carter is pretty talented as well. If Coutee can’t get his hamstring right, perhaps Carter gets a real shot ahead (for 2018). A long time CFM/FFM fave! -- David Johnson (20-69-0, 1-3-0/2)…same old up-the-middle-to-nowhere and little targets. I’ve said he’s an RB2…he’s probably sliding to RB3 in this offense. -- Now that the Packers season is officially ‘over’…let’s see if Jake Kumerow (1-11-0/2) gets more run as well as TE Robert Tonyan (1-5-0/1). It depends upon if Rodgers wants to go with the experienced receivers or use this ROS as prep for 2019. -- Gerald Hodges (13 tackles) has taken over at ILB the past two games for ARI and has two 10+ tackle games (12.0 tackles per game). -- Marlon Mack (8-27-0, 1-6-0/1) has tumbled from RB1.5 to RB3. I know the ‘game flow’ caused more need for Nyheim Hines (4-5-0, 9-50-0/9) in the passing game…but Mack has been reduced to RB between the 20s regardless, as I feared the past 2+ weeks. It’s real…and he’s really gone from RB1-2 discussions. Now, and likely forever…we’re in the RBBC zone here. -- Cody Kessler (18-24 for 150 yards, 0 TD/0 INT) led the kinda game I expected. No TDs. Can’t get to 10 points. I just didn’t believe the Jags would shutout the Colts and steal all my money. Keep playing against Kessler if you can, even with Fournette returning. -- Carlos Hyde (13-36-0, 1-1-0/1) had a weak game, as predicted…a bad QB + a devastated O-Line – I don’t know that it’s going to be a good setup for Leonard Fournette ahead either. -- Finally, Curtis Samuel (6-88-0/11) getting treated like a starter, a real weapon. Not perfect, but we’re getting there. D.J. Moore (4-44-0/8) didn’t follow up his two-game spurt with another WR1 output game. Samuel may be the Panthers WR to own the ROS, finally. -- We have to consider Ian Thomas (5-46-0/5) in the TE mix now. Greg Olsen (1-13-0/1) hurt his foot again…maybe for the final time in the NFL. Thomas is a TE2 with some hopes of scoring a TD…but most of Thomas’s work this season without Olsen has been TE2-3 production. -- Cam Brate (3-36-0/6) had his hands on a TD, but dropped it going to the ground. He’s still a middle-of-the-pack TE1 hopeful week-to-week. -- Worst game I’ve seen from the Rams offense in a while. Jared Goff (17-33 for 207 yards, 1 TD/1 INT) was under duress more than I’ve seen in the past two years…and that effected the WRs up and down the line. -- I don’t believe Levine Toilolo (4-90-0/6) has made any move to be FF-viable ahead. Just a good game against a good defense with a soft spot defending the TE. -- Bruce Ellington (7-35-0/10) in his three games as a starter: 6.3 rec. (8.7 targets), 35.0 yards, 0.00 TDs per game. -- We have to stop mistrusting Tarik Cohen (8-30-0, 12-156-0/14, 1-1 for 1 yard and 1 TD/0 INT). What else does he have to do to prove he is an every week RB1 in PPR? No more ‘should I start Cohen or ___?’ questions. He’s not Todd Gurley…stop asking him to be. He’s closing in on being the closest thing to Alvin Kamara there is…and possibly surpassing AK in PPR. -- With this win…I doubt the Giants move to Kyle Lauletta next week, although he was active and warming a bunch pregame. After the Giants lose again…then we’ll probably see Lauletta – and that will change projections. Not sure it saves Evan Engram…and I don’t expect EE back until Week 15+. -- Allen Robinson (5-79-0/9) looks so good, but there’s only so much you can expect with Chase Daniel at QB. Bad matchups ahead, maybe. Aqib Talib and Jaire Alexander the next two weeks, but he might be an WR2 through it anyway. -- Kenneth Dixon (8-37-0, 1-6-0/1) got into the action right away, after just getting activated from I.R. More carries than Ty Montgomery (3-13-0, 5-42-0/7)…but not the targets. Ty actually led all Ravens in targets. This whole RB situation looks like a cluster. -- Whose crazy now for drafting Justin Tucker (4/4 FGs, 2/2 XP) higher than any fantasy analyst suggested? 16 points (+/-) this week, at just the right time. Tucker is 9/9 in FGs in Lamar Jackson’s three starts. -- Deion Jones (15 tackles, 1 sack) finally played after coming off I.R. – and I guess he was ready to roll…15 tackles in his return game. A top 10 IDP linebacker threat every week. -- Patrick Mahomes (23-38 for 295 yards, 4 TDs/0 INT) missed Tyreek Hill (2-37-0, 1-13-0/6) on 3 wide open bombs, and Hill dropped one as well. Don’t blame this on Reid or Mahomes or Hill…it just wasn’t meant to be this week, but they were going after it like normal. -- Where did this Jordy Nelson (10-97-0/11) come from? I thought he was dead and buried. This is a great week, but I don’t know how you trust him (or anything on this offense) any given week. -- Spencer Ware (14-47-1, 1-5-0/1) looked fine. They weren’t going to burn him out with him/them just finding out he was starting Friday night and still coming off his 2017 injury, where he hasn’t had to push it much in 2018. KC has to make sure not to overdo it, which may be a little FF-maddening ahead. You’ll see Damien Williams (5-38-0, 2-7-0/2) getting 20% of so of the touches…maybe, more in blowouts. Williams is not going to over take Ware, but he will be used to spell him/not overuse him if not needed. -- The momentum has tipped from Dion Lewis (6-36-0, 2-0-0/3) to Derrick Henry (10-40-1, 2-5-0/2) in Tennessee. At heart, old school coaches want to run up the middle…and you do that with Henry. Both are now RB2.5s with Henry having the momentum. -- Another heavy(ish) target game for Chris Herndon (2-31-0/6). I could say he’s entered the weak-TE1 discussion week-to-week, but we need to see if Sam Darnold will continue with it or not. Not a given. -- Jonnu Smith (2-29-0/3) should be in the TE1 discussion, but Tennessee has shown no real plans to feature him. Anthony Firkser (3-42-1/3) gets as much attention. You can’t trust any of them all that much when they get 2-3-4 targets a game. -- The concern I expressed on the Video Q&A show Sunday morning on Matt Breida (5-6-0, 3-51-0/3) was about Jeff Wilson (15-61-0, 8-73-0/9) taking too big a bite off Breida’s touch count. I didn’t know he was going to steal Breida’s whole meal. Now, there’s pure panic of Breida and probably top waiver wire intrigue for Wilson (as RBs continue to fall from the sky). Trust Wilson? You’ll see below, in the ‘Top 5s’ section. 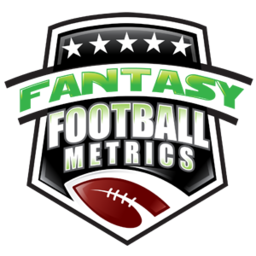 -- Russell Wilson (11-17 for 185 yards, 4 TDs/0 INTs) is so crazy efficient…11 completions is a terrible number (for FF). 185 yards…sickly. But 4 TDs on 11 completion…crazy. You can’t trust any Seattle WR any given week because of the low volume. -- Dante Pettis (5-129-2/7) flashed more #1 WR moments here. I’m a big fan, but I wasn’t a fan of his going into this week – because of the Nick Mullens factor and returning Goodwin/Garcon. Well, Goodwin/Garcon didn’t make it back. When Goodwin does…it will be hard to trust Pettis. Make no mistake – star of the future but not going to be there yet in 2018 every week fighting Mullens and Goodwin. -- First game back for Rex Burkhead (7-20-0, 2-21-0/2) and he gets 7 carries…not great news for Sony Michel (17-63-0, 1-7-0/1) owners. Michel is an RB2 with RB3 leanings…not RB1 leanings. -- Rex had no effect on James White (6-26-0, 7-92-1/9)…as JW returned to his rightful throne of ‘top targets for Brady’. -- Big follow up week for Kyle Rudolph (3-38-0/3) given all the attention NE put on Thielen-Diggs? Nope. I’m not sure what Kirk Cousins was doing…but it wasn’t helping win a football game. Downgrading Rudolph more ahead – if Cousins was connected to him – we would have seen more evidence of it here. -- Melvin Gordon gone? That’s OK…Justin Jackson (8-63-1, 1-19-0/1) already looks better than Gordon. It will be comical when LAC pays Gordon a zillion dollar deal to lock him in and they’d literally be just fine with a Jackson-Ekeler backfield for 5% of the price tag. As long as Gordon is out…it will be a Jackson-Ekeler split now. JJ forced the LAC hand with his performance here. -- L.J. Fort (12 tackles) looked like Ryan Shazier in this game for PIT. He’d barely done anything this year. Wasn’t starting, but then here he started here over Jon Bostic (1 tackle) -- and what a performance. Mid-game it looked like he was making every single tackle to the point the TV commentators were pointing it out. -- I’ve been talking about the Jaylen Samuels (2-5-0, 3-20-1/3) hurricane coming…wondering if it would be early in the season when he started nipping at James Conner, possibly working into a split. That never materialized…but here we are now. I pointed it out last week that the Samuels ‘seal’ has been broken and he was going to start in on Conner. Now, with Conner down (likely 1-2+ weeks) – you’re about to see that Samuels is better than James Conner, as I said since Week 1 – and, if true, that’s going to torpedo Conner’s value for 2019+ -- a great offseason debate between how to use them both is coming. *I realize trading in most leagues is over/done for the year, but some still have open trades all the way through…especially in dynasty. I’m thinking more long-term with this Buy Low/Sell High list right now. 1) Allen Robinson, CHI – Robinson’s revival to a #1 WR has been masked by ‘circumstances’ the last three weeks – circumstances allowing you to buy him a lot lower than you should be able to. Three weeks ago, a muted game against Xavier Rhodes…logical. Then the last two weeks with Chase Daniel hurt…and ARob hasn’t been bad but can only do so much with Daniel (and the rain against NYG on top of that). When Trubisky is back, then it’s a #1 WR working with a new-age top 5 QB, possibly the best QB talent of the future. You want the ARob pairing with that for 2019+. LAR-GB the next two weeks aren’t huge upside games, but he should be OK…but this is more about the future for those still trading in dynasty. 2) Kenny Golladay, DET – Had 3-50-0/8 line this week, which makes two games without a TD or a ‘wow’ game. If an owner is not totally enraptured by KG…you want to go get him, because he is a WR1 of the future. Had a TD this week, a stellar catch, but just stepped out of bounds coming down with the ball. Tough game with Aqib Talib and he still almost made it work if that TD catch stood. Schedule is not easy…but Golladay is awesome and a building block of the future. 3) T.Y. Hilton, IND – He’s past the two Jalen Ramsey games finally. HOU-DAL-NYG should be solid, if Byron Jones doesn’t shadow him Week 15. 4) Mitchell Trubisky, CHI – Everyone in the mainstream hates him. Been out for weeks. The price tag is dipping again for those looking to acquire for the next decade in dynasty. 5) Baker Mayfield, CLE – Price comes down after the media focuses on the three picks that he had in the 1st-half. At least one of them was trying to force a big play as the team was swirling down the drain. He made a number of jaw dropping throws in this game with a bad O-Line and WRs not really helping him. He’s going to be a superstar of the future…as long as Mike McCarthy doesn’t wind up here. 1) James Conner, PIT – Well, it’s been a nice run. What a story we pulled off here…many of us landing Conner as my top late-round flyer in redrafts, etc., theorizing this Le’Veon situation to be really bad (and it was). I called the Le’Veon-Conner situation correctly and it was a major fantasy impact – helping produce the best regular season records ever across all the various FFM subscriber’s leagues. I spent the whole time, also, warning about Jaylen Samuels’s impact on Conner at some point – that Samuels was a better talent than Conner, and that he’s at least be a 3rd-down back to hurt Conner’s value someday. Everyone’s about to see that Samuels is as-good/better than Conner…and that will cause FF-chaos. Samuels is going to evoke ‘Le’Veon Bell’ comparisons. No one realizes or believes this in the mainstream. They will stick by Conner this week…and I believe the Steelers believe Conner is their guy too…today. Check back in a week or two. Samuels may not overtake Conner, but he’s going to plant the seeds of trouble, at a minimum. You gotta sell Conner, even laterally, just to avoid the trouble. You should get strong RB1 value in a deal. If there is a week to do it – this is the week…maybe your last (at RB1 prices). 2) Rob Gronkowski, NE – Everyone is in TE pain, and I still see people using Gronk + an RB (1.5-2) trying/getting Kelce-Ertz -- they are all that matters at TE…and the missing piece of many a team’s title puzzle this season. You may have to give up your precious RB depth to get this done. Gronk has been so weak for fantasy over his last 15-20 games. You gotta sell what’s left of his name to get you into a better TE. 3) Gus Edwards, BAL – The time left to sell off is fleeting. You should’ve sold last week. If you can get RB2 money for him, you do it. He’s not involved in the passing game and now has Dixon-Montgomery to fight off for touches…much less Lamar Jackson taking close scores. 4) Aaron Rodgers, GB – New head coach might get people re-engaged, if you’ve been trying to dump Rodgers because you have Mahomes-Goff, etc. He’s a good backup QB. I don’t trade him unless I get solid QB1 value. The coaching change might get people thinking, but the trouble is beyond McCarthy (and he was a huge part of it). Not a must sell…just if you wanted to move him before and couldn’t; this may open up a window. 1) Jaylen Samuels, PIT – Le’Veon Bell Jr. is about to start for the Steelers, and it could be great and help you blow away Week 14 playoff opponents. 2) Jeff Wilson, SF – I started warning of this last week and on the Video Q&A. Well, it’s here. Wilson is better than Matt Breida…and Breida is banged up again. 3) Curtis Samuel, CAR – Perpetually on this list, it seems, but still low ownership…but we may have had a real breakthrough with this week him leading in targets and receiving. I’ve exhausted all I can say about this play. The closest thing to Tyreek we have (and a million miles behind Tyreek). 4) Adam Humphries, TB – You wish you your WRs had 5 TDs in their last 5 games. ‍5) Josh Reynolds, LAR – Noting him here even though he’s 60-70% owned…but will be dropped a lot this week – pick back up as a strong WR3 with WR2 potential to the end, especially in non-PPR. 6) Rashaad Penny, SEA – I could put him on ‘distrust’ just as easily, but Seattle is going to the playoffs and their best RB, by far, is Penny – if they want to beat the big boys/keep this win streak going it will be behind their run game and Penny should be leading that. At minimum, the Penny push ahead gets their precious Chris Carson some rest/healing. Penny is a ‘last man on the bench’ RB to hold. 1) Dante Pettis, SF – I love Dante Pettis. I see the ‘it’ all over him. My fear is (a) Nick Mullens can’t keep this going when coverage gets tighter on Pettis now, and (b) when Marquise Goodwin returns…Pettis shrinks into the background with 3-4 targets a game. Goodwin should be back this week. If Goodwin isn’t back…then forget I wrote all this. 2) Nyheim Hines, IND – I don’t want any Colts RB. Frank Reich has contracted the Doug Pederson RBBC virus…and Hines, Mack, Wilks are randomly mediocre. You can’t trust any of them week-to-week. 3) Ian Thomas, CAR – Thomas has talent and enters the TE2 conversation for sure, but not an exciting TE1 hopeful yet. He’s in the less-than Jonnu Smith discussion because of Cam. ‍‍‍4) DeVante Parker, MIA – Scored a TD, so here comes all the ESPN-types ready for THIS TIME (time #117) that Parker is ready to breakout. He’s not because he’s not a good WR. 5) Chase Edmonds, ARI – He might be better than David Johnson for fantasy, but on Arizona…that doesn’t mean much. If DJ went down and Edmonds took over…he’d be the one slamming up the middle to nowhere. 1) Justin Jackson, LAC – Obviously, people are clued into him after SNF…but I want to propose the case that Melvin Gordon may not be back for weeks (possibly) and that Jackson could be the lead RB the ROS. Most believe Gordon will be back next week, I don’t. Most believe Ekeler is the ‘the man’ without Gordon…I think that ended last night. 2) Chris Conley, KC/Demarcus Robinson, KC – If Sammy Watkins is out for a while or goes on I.R., then Conley’s role will change and he’ll matter in this offense. If Watkins is out…and if you have Tyreek Hill…if something happens to Hill – Conley becomes KC’s main guy. Demarcus Robinson would be thrust into the lineup if Watkins goes out…and then be a #1-2 target if Hill were to go down after that. If you want to stay tethered to this offense ahead…Conley and Robinson could elevate on news of Watkins going on I.R. 3) Jake Kumerow, GB – Coaching change… I assume Joe Philbin is there to appease Aaron Rodgers, or he won’t get the job next. If Rodgers wants Kumerow to play more, now that the season is over, this is his chance. Still a long shot. 4) Dan Arnold, NO – His target counts and spots on the field he’s getting them have been improving for weeks. He can be a real weapon out of nowhere for Brees, on a team struggling to find anything outside of Thomas-Kamara in the passing game. 5) Zay Jones, BUF – 4 TDs in his last 6 games. The clear #1 WR for the Bills. A talent who deserves a better place to work but he’s making do and has become a serious WR3 option week-to-week. 6) Rashard Higgins, CLE – Something has to work with Mayfield when all the coverage goes to Jarvis Landry. Higgins has a TD in three of his last 5 games with Baker. ‍7) Kenneth Dixon, BAL – He’s back…and got good touches for being out so long. He’s the best all-around RB on the Ravens, but I don’t know if he’s a great fit with Lamar Jackson’s style but the Ravens might force him into the straight ahead work in the spread. Fighting off Gus and Ty is probably too much to ask, but he’s in the mix now. 1) Rex Burkhead, NE– No room for him to be FF-viable in that backfield. 2) Greg Olsen, CAR – This new foot injury should about do it for his career. ‍‍‍‍3) Hayden Hurst, BAL – Hasn’t worked to FF-viability with Flacco or LJax or RG3. I thought the coach said he wanted to get him the ball more? 4) Royce Freeman, DEN – *Just in redraft… Nothing against Freeman but Phillip Lindsay has become a star and pushed Freeman off a cliff. I never would have imagined. 5) Evan Engram, NYG – The hamstring. The low utilization. The pending change to Kyle Lauletta in a few weeks. Can’t really trust him. Want for dynasty not redraft…if you have any other real options. ‍1) Titans-DST –JAX, @NYG, WAS Weeks 14-16 is a real nice stretch during the FF playoffs – two home games among them. Might be Kessler-Lauletta-McCoy in this stretch…wow! 2) Jags-DST –@TEN-WAS-@MIA Weeks 14-16. Do they continue to push after shutting out Indy, even though they can’t make the playoffs…or was this a one-off event? They looked damn good vs. Indy…but were sloppy for several weeks prior. 3) Redskins-DST –If Quinton Dunbar is healthy and Washington is hanging around the division title hopes…consider for Weeks 14-16 (NYG-JAX-TEN). The O-Line corrupted with injury hurts them controlling clock ahead like they did earlier in the season. 4) Cowboys-DST – After watching them destroy the Saints…you have considered them as possibly ‘best in class’ right now…so, even games with PHI-IND the next two weeks are debatable plays and Week 16 vs. Jameis could work nicely. 5) Broncos-DST – Great FF-playoff option…Weeks 14-16 = at SF, CLE, at OAK. The problem is they lost their best defender – Chris Harris. Gone for the season. HUGE blow to this but useful weeks 14 and 16. 6) Chiefs-DST – BAL-LAC-@SEA is really pretty solid for Weeks 14-16 but not awesome. The good matchups with KC-DST have been used up, now it’s hopes of shootouts creating turnover and sacks. 7) Bills-DST – The offense is terrible, but the defense is good, and they do well against weak offenses…and they have NYJ-DET Weeks 14-15. Useful. Buyer beware…because the offense is so bad it subverts the defense too many times. 8) Jets-DST – Facing the Bills in Week 14…you could do worse! 9) Chargers-DST – Facing Jeff Driskel in Week 14 is a play. No good Weeks 15-16. 10) Saints-DST – One of the better defenses in the NFL right now. Week 14 at TB is a useful play. 11) Patriots-DST –Weeks 14 MIA is OK…but Miami will be jacked up for that game. Weeks 15-16, PIT-BUF. One to pair with like a SEA-DST to take advantage of the MIA and BUF matchups. 12) Steelers-DST – OAK Week 14 looks nice. Weeks 15-16 NE-NO is no good, but that NE game might not be as terrible as we’d think. 13) Seahawks-DST – Now, down to the at SF Week 15 as the final useful week. 14) Colts-DST – The stats are decent, but the performance is erratic. HOU-DAL the next two weeks is not favorable, but Week 16 vs. what might be Kyle Lauletta should be positive. 15) Dolphins-DST – if they are still in the playoff picture…Week 16 hosting JAX is intriguing.